The TurboGrafx-16, or PC Engine as it was known in Japan, is a Japanese home console developed by electronics giant NEC and Hudson Soft. It was released in late 1987 in Japan, and two years later in the U.S. and France. Despite the success of the console in its home territory, the TG-16 wasn’t a breakout hit with western audiences. That means there are probably a whole heap of games from that era that many of us have never even heard of, let alone played. While much of the system’s catalog consisted of cross-platform releases, we’ll focus primarily on exclusives for this list. Check out a few of the best multi-platform releases at the end of the article if you’re interested in those too. Many of these titles have been released on modern platforms, notably via Sony’s PlayStation Network and Nintendo’s Virtual Console services 5 Underrated Gems You Can Get on the 3DS eShop for Under $5 5 Underrated Gems You Can Get on the 3DS eShop for Under $5 Have you ever checked out the 3DS eShop? It houses some overlooked gems, and you can get five of the best for just $20. Read More . Unfortunately, most of them are only available on PlayStation 3, PS Vita, and the original Wii. This is far from ideal, as these systems are all from the last generation. However, if you have a Wii U, you can access the Wii Virtual Console titles by using Wii Mode. Fortunately you can still enjoy TurboGrafx-16 games via the use of an emulator. Mednafen is the best of the bunch, and while it’s cross-platform there are only binaries available for Windows users. 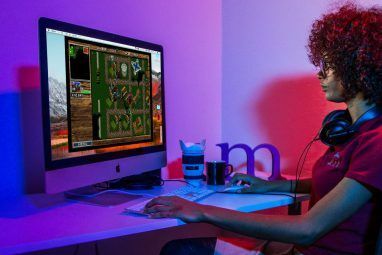 If you’re on a Mac you can install OpenEmu which includes Mednafen and many other emulators OpenEmu For Mac Is Earth's Best Piece of Emulation Software OpenEmu For Mac Is Earth's Best Piece of Emulation Software Organize your favorite retro games in style – then play them. OpenEmu is a long-awaited Mac exclusive that combines emulation for a dozen systems into a single, slick program. It makes browsing your ROMs a... Read More . Linux users may have to compile from source How to Compile & Install TAR GZ & TAR BZ2 Files in Ubuntu Linux How to Compile & Install TAR GZ & TAR BZ2 Files in Ubuntu Linux Read More (there’s an Ubuntu binary available, though). To play these games you’ll need the corresponding ROM file. 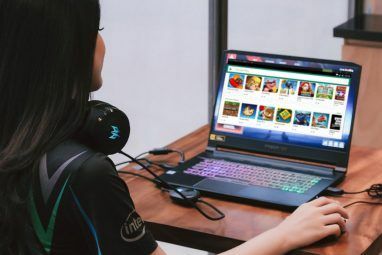 Though it’s a gray area, downloading ROMs for games that you don’t own is illegal, so it’s up to you to find ROMs if you wish. Bonk was to NEC as Mario was to Nintendo. At a time when consoles increasingly relied on recognizable characters 4 Failed Video Game Mascots You've Probably Never Heard Of 4 Failed Video Game Mascots You've Probably Never Heard Of Everyone knows about Mario and Sonic, but there have been plenty of weird mascots that didn't catch on. Let's talk about a few and see why they failed. Read More and franchises, Bonk became the TurboGrafx-16’s platforming poster child. What emerged was an accomplished, well-designed 2D platformer with a caveman theme that’s a little more forgiving than Mario. The game was released in Japan as PC Genjin — a play on the localized name — as “genjin” translates to “caveman” in Japanese. While Bonk’s Adventure isn’t quite as captivating as the Japanese title, the game is absolutely worth hunting down if you’re a fan of retro 2D platformers. These days you can grab it on Nintendo’s Virtual Console for Wii U and the PlayStation Network for PS3 and PS Vita. See also — Sequels Bonk’s Revenge (1991) and Bonk 3: Bonk’s Big Adventure (1993) are even better than the first. If there’s one genre that the TurboGrafx-16 did better than any other console at the time, it’s shoot-em-ups (or shmups for short). There exist a huge number of these titles for NEC’s system, in both side-scrolling and top-down flavors. Air Zonk is a playful side-scrolling shmup with a futuristic Bonk-style character and brightly colored environment. The game is different from many of the other shooters released at the time, most of which focused on corny but straight-faced sci-fi tales of alien invaders. By comparison, Air Zonk has a more light-hearted appeal. You’ll fly through the air as a balding punk, gobbling up smiley faces, while battling comical bosses (one of which is a sentient pile of trash). Grab it on Virtual Console for Wii. Probably one of the best shmups of all time, Gunhed is based on the Japanese film of the same name (though this fact is only referenced in the Japanese version). The western release of Gunhed was renamed Blazing Lazers, and praised by critics just as the Japanese version was in its home territory. Many consider Gunhed as one of the console’s best shooters, with some even declaring it the best game on the console from any genre. The gameplay is similar to many other vertically-scrolling shooters. You’ll tackle waves of enemies, avoid bullet patterns, and defeat the boss at the end of each area to progress. You can pick up Blazing Lazers on Virtual Console for Wii. The game only received Japanese releases on the Wii U and though PSN. Starting life as an arcade cabinet in 1988, Bloody Wolf made its way onto the TurboGrafx-16 two years later. Like many Japanese titles, the western release took a different name and was known as Battle Rangers in Europe (which sounds nowhere near as cool as Bloody Wolf). It’s a scrolling run-n-gun shooter, like a mix of Contra and Streets of Rage with added guns and motorcycles. Though the NEC port lost the arcade’s two player mode, the rest of the game was fleshed out considerably despite hardware limitations. This version features much larger levels, a whole extra area, better music, corny backstory, and additional dialogue. You can grab Bloody Wolf on Virtual Console for Wii. Before Famicom Wars (or Advance Wars, or Nintendo Wars), there was Military Madness. The game is a futuristic turn-based strategy game 3 Excellent Turn-Based Strategy Games Online 3 Excellent Turn-Based Strategy Games Online So, if you're into fast-paced racing games, heart-pounding first person shooters, or edge-of-your-seat tower defense games, then you can click the back button now and find another article. This isn't that kind of article. Here,... Read More that takes place on the moon in the late 21st century. You command the Allied-Union forces against the Axis-Xenon forces, with moves made on a hex-based (six-sided) grid. The game received a solid reception at home and in the US, going on to become one of the main influences for Westwood Studios’ Dune II. The game was known as Nectaris in Japan and received several remakes. There was a PlayStation remake in 1998, a 3D remake for PSN, Xbox Live and WiiWare in 2010, and an iPhone version that same year (since retired). You can grab the original on Virtual Console for Wii. The sequel to the 1986 NES and MSX game Star Soldier, Super Star Soldier is another side-scrolling shoot-em-up Classics Are Still Thriving: 10 Retro-Style Shooters You Need To Play Classics Are Still Thriving: 10 Retro-Style Shooters You Need To Play Today we associate the term shooter with games like Call of Duty, but in the 80s this word was used to describe top-down shoot-em-ups like Raiden and Space Invaders. Read More that’s still worth picking up today. The story is the usual sci-fi shooter fare of invaders from another galaxy threatening Earth, and you having to save the day by dodging bullets and shooting waves of enemies. There are eight levels, and a range of weapons to collect and deploy including flamethrowers and heat-seeking missiles. While the game was very well-received in Japan, it didn’t shift anywhere near as many copies in the west. The game was only ever released on the TurboGrafx-16, so many fans missed out on this excellent sequel. You can grab the game on PSN for PS3, PS Vita and PSP or Virtual Console for Wii. Did you love playing Snake on your old Nokia phone? Gomola Speed is a similar game, with a few important differences. To start, you’re a caterpillar-like creature, and you must collect additional body parts to grow your “snake” and avoid or destroy enemies by dropping bombs. To finish a level you’ll need to collect all the body parts and then surround your food, which will reveal the exit for the level. It’s a challenging game, but it’s immediately playable. Gomola Speed is often praised, despite the fact that it was never released outside for Japan or on any other platform. The game has never seen a modern re-release, but you can read more on the PC Engine Software Bible. Pinball games were once all the rage 4 of the Best Pinball Video Games of All Time 4 of the Best Pinball Video Games of All Time Today, we are going have a look at the very best virtual pinball experiences you can get your hands on. It's funny how it has actually come full circle, with pinball machines leading to the... Read More , and the switch to a virtual play space allowed developers to take the concept to the next level. Time Cruise is one such title. The main twist involves extended play areas directly branching off the main table, which gives way to a unique “zone-based” pinball experience. This results in a more free-flowing experience than the usual pinball games, which focus on table accuracy and physics. It’s not quite as elegant as Pinball Dreams or Pinball Fantasies on the Amiga, but it’s a fun twist on a concept that’s still enjoyable today. Time Cruise has still not received a release on modern systems, but you can read more on the PC Engine Software Bible. In the late 80s, every console needed a game like Zelda, and Neutopia filled that role for the TG-16. The game is an unashamed clone of Nintendo’s open world role-playing adventure, released only three years after the NES breakout hit. It’s hard not to talk about Neutopia without mentioning Zelda, but the game can still stand on its own as a compelling early adventure title. Similarities include a maze-like world that encourages exploration, dungeons in the form of “crypts,” and boss battles. The reliance on collectible items to progress the stor, and even the overall graphical style also resemble Zelda. Some have criticized the game’s use of Japanese passwords for save progress, and problematic collision detection. Find it on PSN for PS3 and PS Vita or Virtual Console for Wii. See also — The game received a sequel in the form of Neutopia 2 with improvements across the board. Despite teasing, the third game Neutopia III was never released. The TurboGrafx-16 launched nearly two years after general availability in Japan, and The Legendary Axe was one of the console’s U.S. launch titles. The game received critical acclaim, with reviewers praising the animation, graphics, music, and simple platforming gameplay across six varied levels. 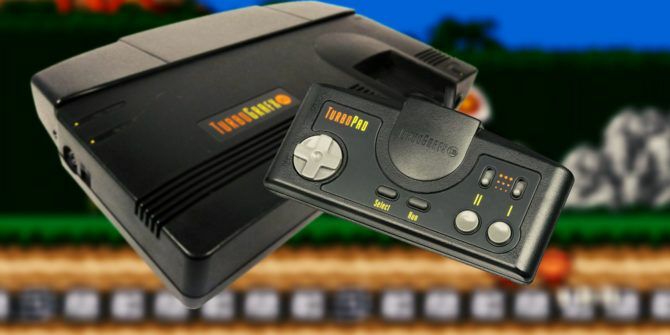 The Legendary Axe is a good example of the TurboGrafx-16’s hardware advantages over rival consoles like the NES NES Mini: Everything You Need to Know NES Mini: Everything You Need to Know Nintendo has released a retro replica of its popular Nintendo Entertainment System! Should you buy it? Here are the pros and cons of this "new" mini console! 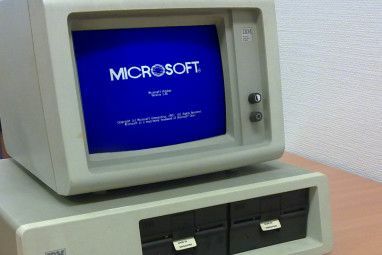 Read More , and appeared in U.S. promotions for the system. It also received a number of awards following its release, and became somewhat of a must-buy for new console owners. Despite the praise, the game has never received a modern release. Head to the PC Engine Software Bible to read more about it. R-Type — One of the best shoot-em-ups ever created, R-Type appeared on a broad range of systems after its arcade debut in 1988. The PC Engine port was the first home console version, and remains one of the best you can play today. Street Fighter 2 — This version of Capcom’s classic fighter up proved the console could stand with the best of them, including the SNES. Splatterhouse — A faithful gory port of the notorious arcade platformer. Bomberman ’93 — One of the best Bomberman games of all time, with new power-ups and maps. Ninja Spirit — An accomplished arcade platformer set in feudal Japan, released on many platforms but best remembered for the PC Engine’s home release. Dragon’s Curse — A re-release of the 1989 Sega Master System title Wonder Boy III, with improved graphics and sound. Castlevania: Rondo of Blood — Though only ever released on the TG-16, Rondo of Blood was later re-released as Dracula-X on the SNES so you’ve probably played it by now. Turrican — A tricky platformer developed for the Commodore 64 which found its way onto the TG-16 in 1991. Space Harrier — Yu Suzuki’s legendary jetpack-fueled shooter. And many, many more! Check out the full library at the PC Engine Software Bible. Did you have a TurboGrafx-16? Maybe you’ve started collecting retro consoles? Or perhaps you grew up on a diet of emulators and ROMs, and have experienced TG-16 games without ever laying eyes on a real one. We’d love to hear what your favorite, must-play PC Engine games 4 Fantastic Turbografx 16 Games That Are Still Worth Playing Today 4 Fantastic Turbografx 16 Games That Are Still Worth Playing Today When you think of classic consoles, the NES, Genesis, and SNES are probably the first that you think of, but there's another device that had some fantastic games. That other console, NEC's Turbografx 16 actually... Read More are. Leave a comment below and let us know what we should be playing next! Explore more about: Arcade Game, Emulation, Fighting Game, Retro Gaming. Played them all except Gomola Speed. Didn't think Air Zonk was all that great. Absolutely LOVED Y's Book 1&2, Gate of Thunder and Lords of Thunder. Beyond Shadowgate was my first full out rage quit and still the most difficult game I've played to date. Cadash was fun but also available on Genesis. Ninja Spirits was amazing but difficult game. There were some great games on the PCE/ TG16 it's just too bad the console didn't have a fraction of the games in the US it did in Japan or it could have really took off.